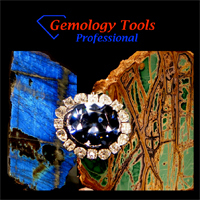 GemologyOnline.com • View topic - Original: Your Latest Jewelry Creation! Lets See It! 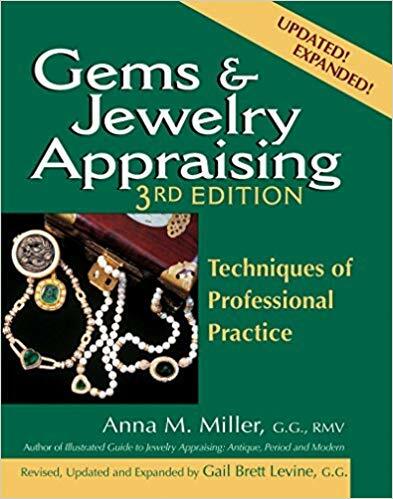 Original: Your Latest Jewelry Creation! Lets See It! 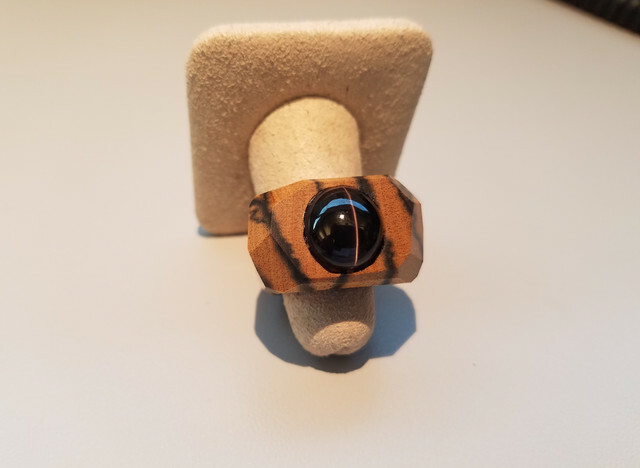 Post subject: Re: Original: Your Latest Jewelry Creation! Lets See It! Stephen do you mean a wood working router? How do you do it? 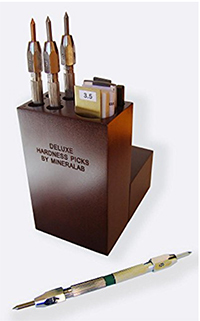 There are specific gem routers with various bits for hitting inside curves of cabs or cuttting channels. Mine is an Inland I got for 20 bucks at a flea market. Very cool metal work, like the stone mix as well. 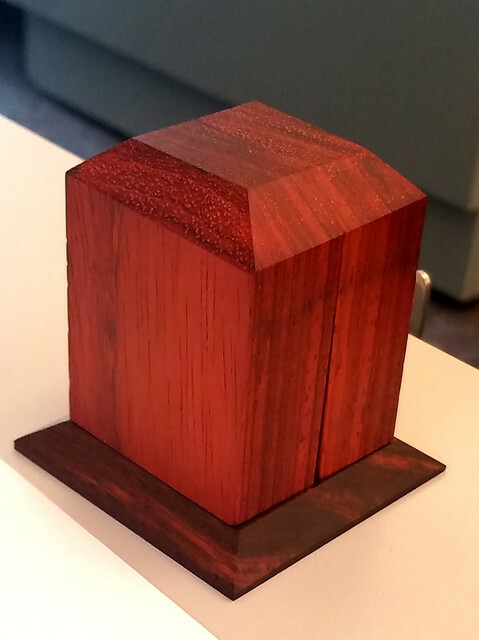 When I'm not dealing with gemology students or faculty, I enjoy the occasional woodworking project. 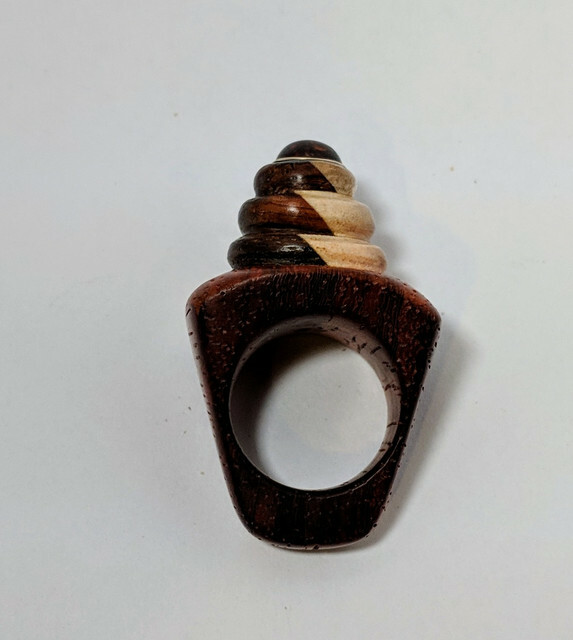 Recently one of the instructors came to me with a pretty unusual idea to make a ring out of wood into the shape of an ice cream cone using a small Hessonite Garnet cab that she owned as the cherry on top. Always willing to tackle something fun, this is what I came up with. 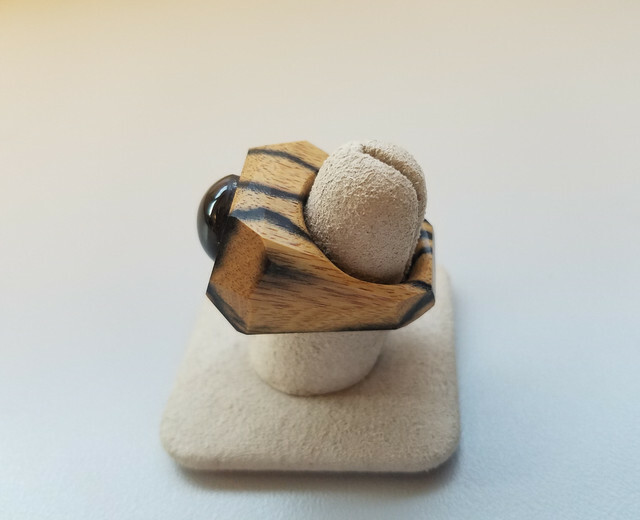 It may not look like it, but there are 10 separate pieces including the stone. 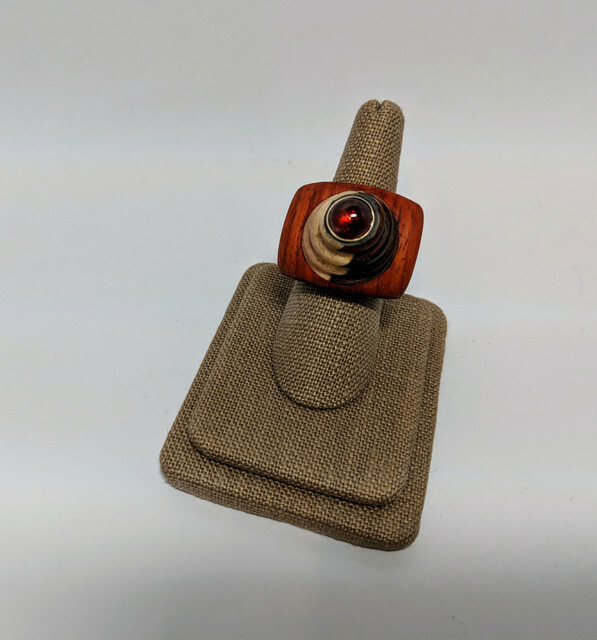 The woods used are padauk, maple and cocobolo with a 14ky bezel. 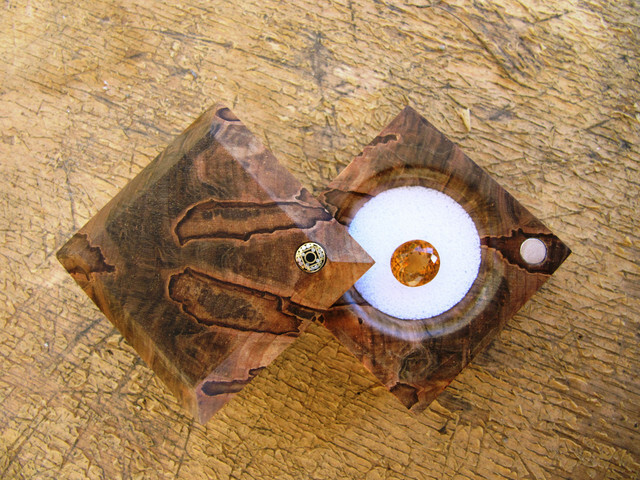 Seaman Schepps also made some fabulous jewels incorporating wood. 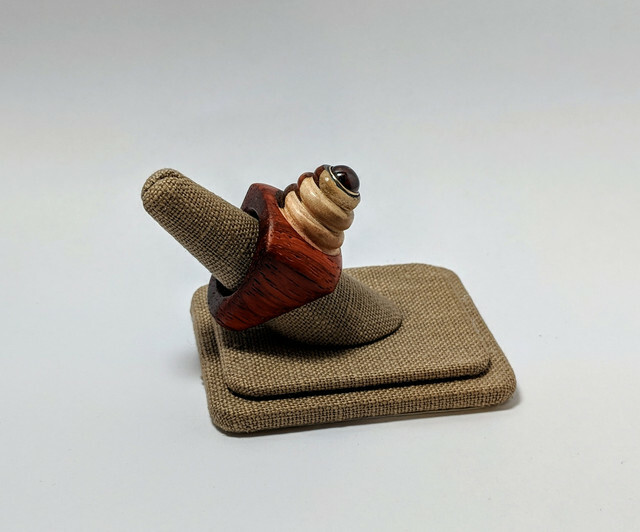 Please forgive the photography, these are all taken with my phone for my own records as I don't sell or promote these, they are just made for friends or family as a hobby. 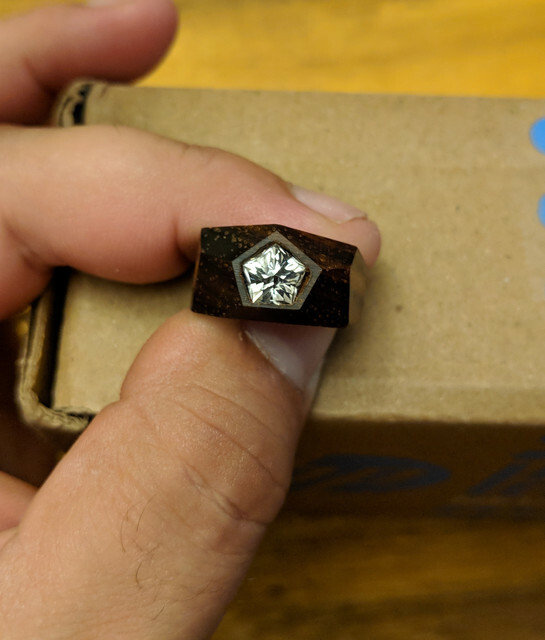 What sort of cut is the colorless stone which appears to have pentagonal symmetry? My favorite is the ebony and sillimanite. Really really nice! 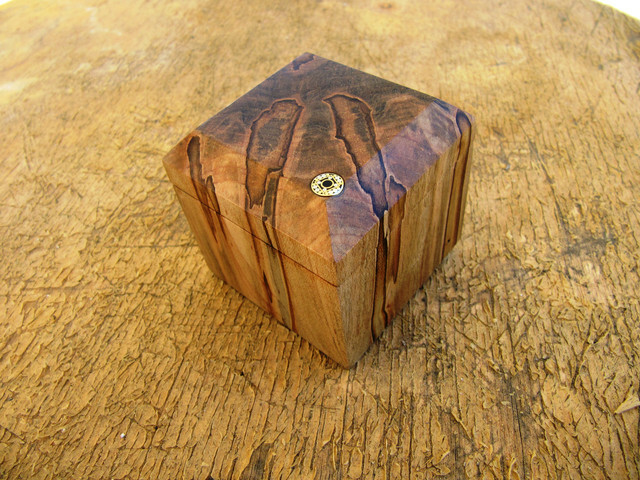 Wow - after a flurry of nice pieces posted, it has gotten a little quiet around here! 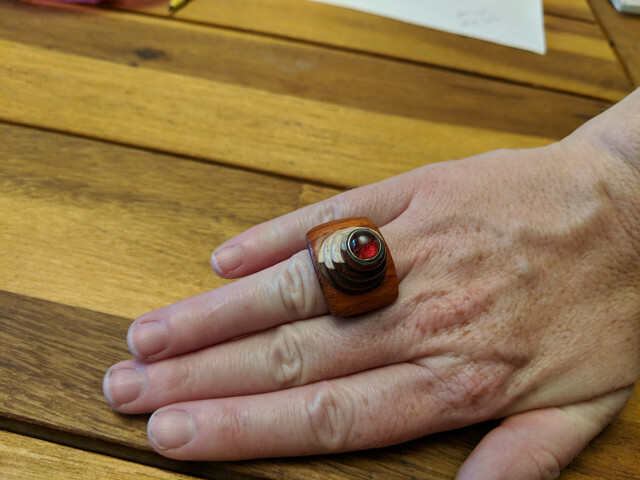 First, someone's 25 year old nugget wedding band we remade - probably weighs twice what the original did. Did I mention I hate soldering nuggets? 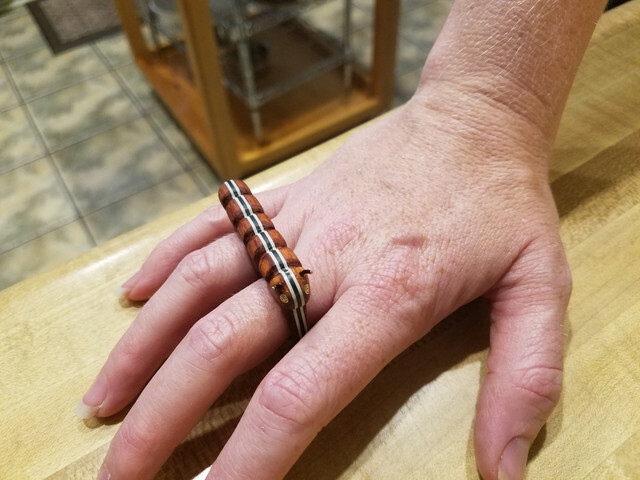 Here is a wedding band I made for a friend this summer, to match one for his wife earlier. 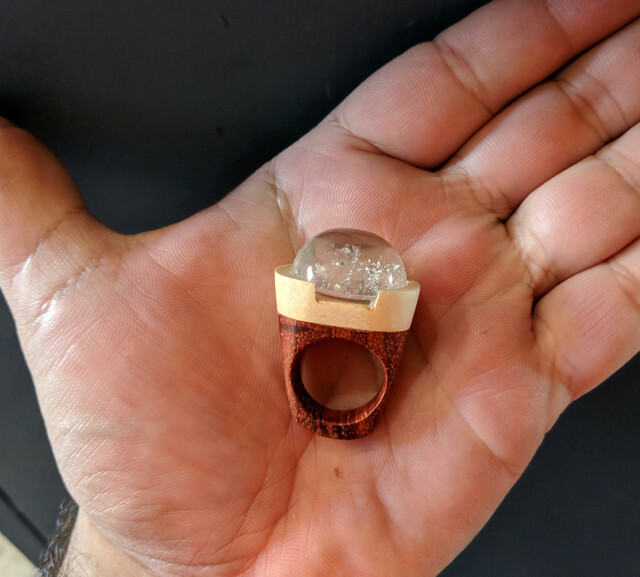 14K two-tone, 0.18 ct diamond. File comment: in pieces... rough castings. 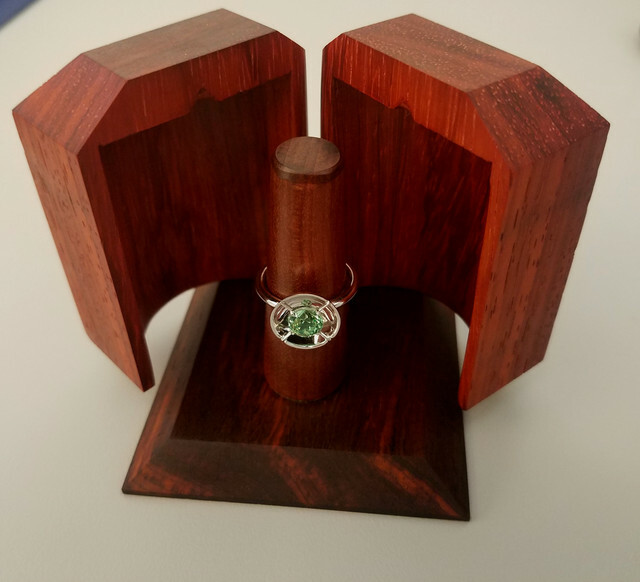 Here is a recent project for a hospital charity event we participate in each year - 35th (emerald) anniversary for this event, so we used their logo with an emerald. 14K, 5 mm Columbian emerald, and 32 ideal cut diamonds. One guy at the event bought $3,000 in raffle tickets for the pendant - and still didn't win!